Nothing is more important in a bathroom or toilet than a bench which is the protagonist and dictates the style environment. The website separated the best tips and inspiration for your projects and renovations of bathrooms and toilets. Learn also about the advantages of each type of material and inspire yourself with the gallery of images. The use of glass is great for wet and humid areas, as does not change, as other materials. The durability is one of the main advantages as well as maintenance and cleaning, which are simple and can be done with any cleaning product. The material provides transparency and lightness to the environment. There are many different shapes and thicknesses as an option. It is recommended that the sink tap is installed on the wall. 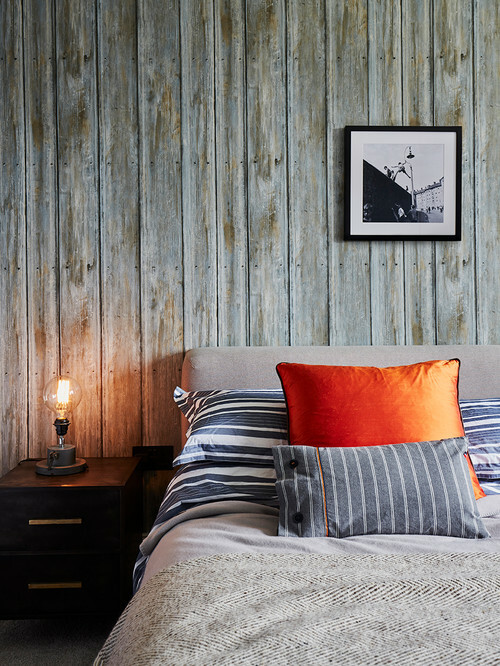 Depending on the color, thickness and wood cutting style, the material can provide a light, rustic or sophisticated environment. To complete the chosen style, simply combine the counter with other elements of bathroom decor or toilet, as wall coverings and floor. Since wood come into contact with water, Proof it with varnish to make her resistant and water does not infiltrate. This should be done once a year. For maintenance and cleaning counter top, use a damp cloth and mild detergent. 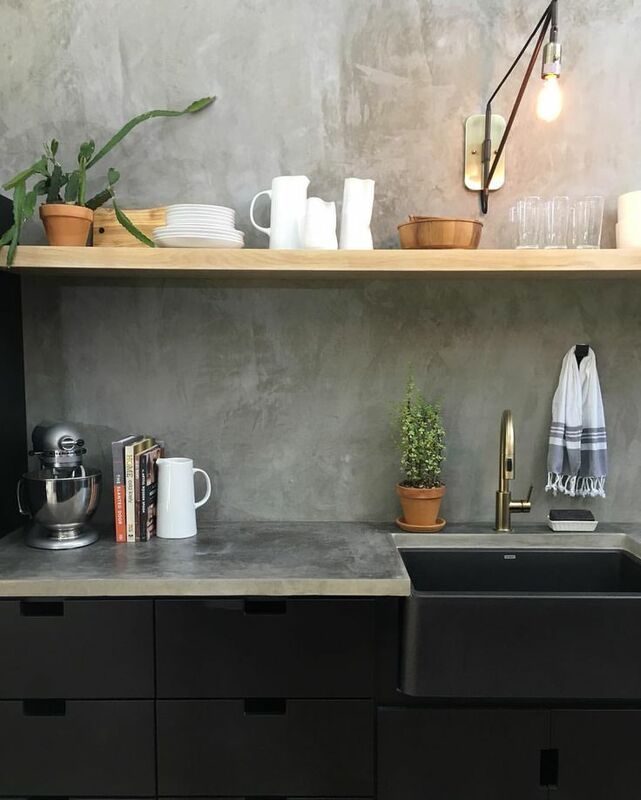 The use of concrete and burnt cement stylize a modern, functioning well in places where there are already elements of industrial or rustic style. The great durability and strength contrasts with the price of the material that may not be as attractive initially. In the case of exposed concrete, it is recommended the use of resinated concrete to avoid porosity. Another alternative is to coat the concrete with inserts. This brings the moisture resistance to the benefit of waterproof concrete. Granite is one of the most known and used materials. Why not be a porous, non-stain with water contact and is scratch resistant. It has several options of textures and colors, and it should be cleaned with a damp cloth and neutral products, never corrosive or oily. Lighter stones should receive a greater attention. Another popular option of counter tops, marble has color variations and textures, making its price varies. Unlike granite, marble is less resistant. It is porous features easier to scratch and stain. It is recommended only for bathroom counter tops, as it can not be used in kitchens. The option that has more resistance than others is also the most expensive. Both options are fruits industrial stones of a technological process. Made primarily of resin and glass powder materials are very resistant, raising its price. They are difficult to stain or scratch, so ideal for wet areas. Complement cleans and sophisticated environments. The difference between the two lies in the composition and finish. Physically this difference is noticeable in lighter nanoglass color. The Marmoglass has small air bubbles that reduce their resistance and make it difficult to finish. So it is indicated in the stands that do not require a refined finish. Since the nanoglass using nanotechnology to remove air bubbles from the material. It becomes more uniform, homogeneous, with the possibility of a more refined finish. Silestone follows the industrialized line Marmoglass and nanoglass, but its great advantage is the huge range of options available, more than 70 colors and styles. 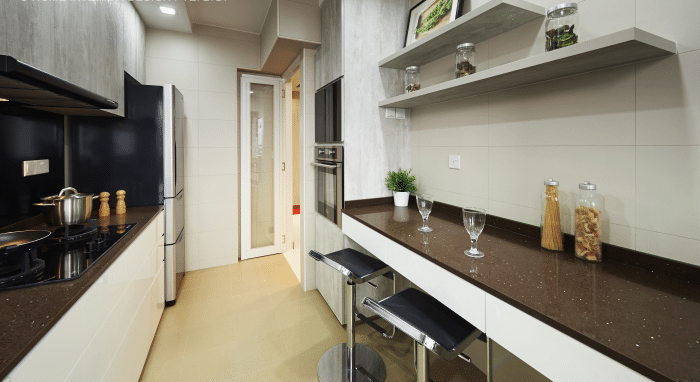 The material has 94% natural quartz in its composition and it is resistant to stains, scratches and heat. It also has antibacterial protection. By presenting several benefits, the price ends up being higher than other materials. For cleaning is recommended use of water and soapy creamy. Made up of natural mineral and acrylic, Corian is similar to Silestone by having a huge range of colors and it is stain resistant and non-porous. It has to be more easily molded and in case of damage, such as scratches can be easily repaired. 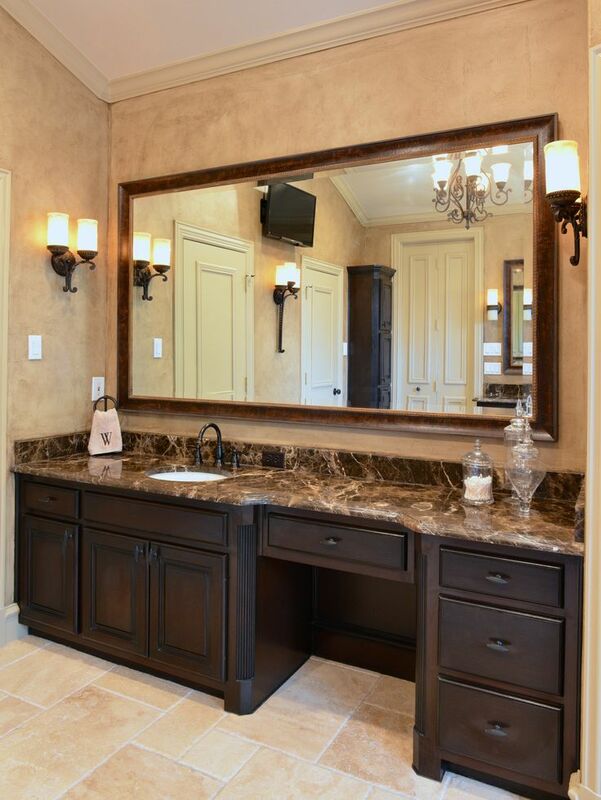 Masonry counter tops often leave cheaper than natural stones or industrialized. The main advantage is the easy customization, which can be done using coatings such as tablets, glass, mirrors and other options on the bench. The porcelain, which was used only as a floor, won special cuts and ended up in the bathroom counter tops. The settlement can be done on masonry or on a metal frame support. The material is durable and has low water absorption, which matches perfectly with the environment. 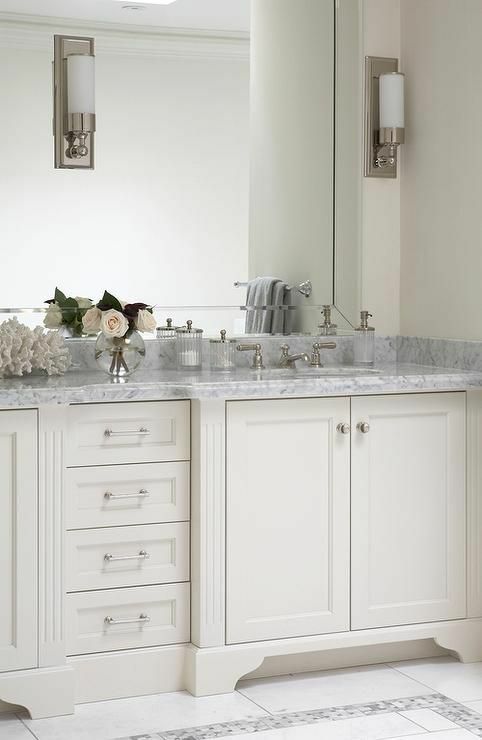 A different way of doing the counter of your bathroom is using embedded or feet cabinets. Desks and dressers are examples. Generally, the use of mobile as bench takes place in bathrooms and classic-style toilets. Counter tops should always be accompanied by mirrors, which extend the environment, and mirrors are functional and also contribute to the brightness of the space. To take advantage of the space around the bench, niches and shelves are ideal. You can use them to store hygiene items and personal care or even to house decorative elements such as plants and small tables. 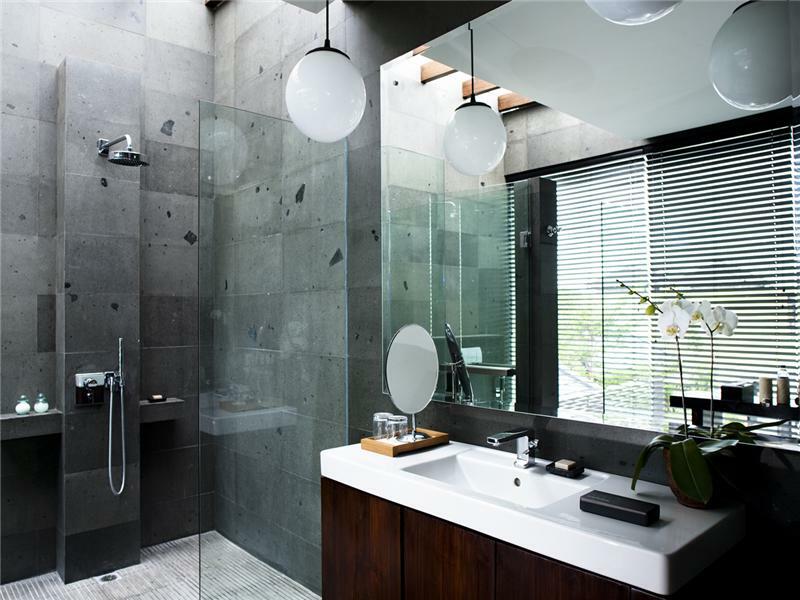 Indirect lighting is ideal for bathrooms that have expressed their personality in the stands. 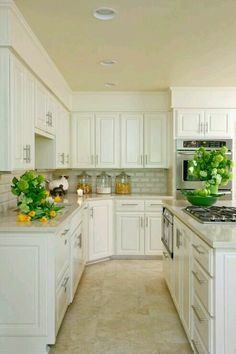 But if your choice is the light fixtures, the spots should make more cleans environments where white predominates. 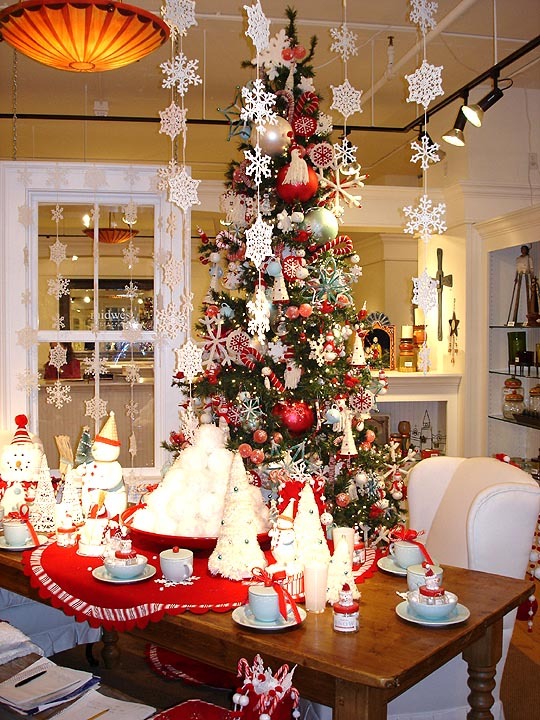 Pendants are perfect and should be designed according to the style and color of the bench, in addition to being placed next to the mirror. 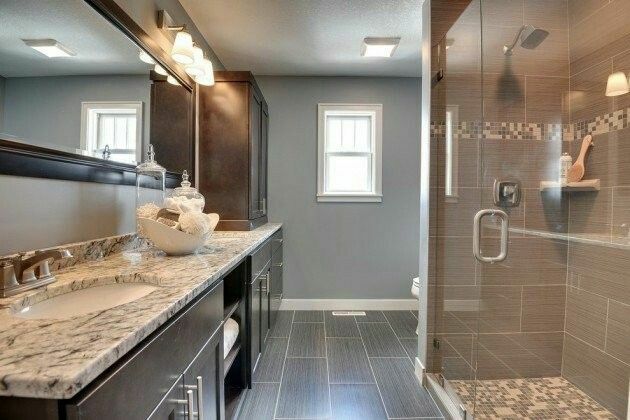 Baths using homogeneous colors in all its elements tend to appear smaller and tighter. So, look to draw attention to specific points using benches with different style and more prominent colors like wood and silestone. 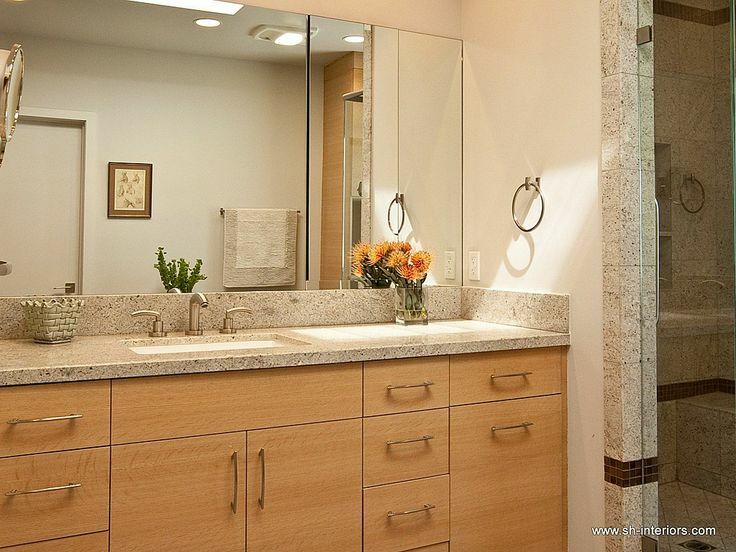 Another option that extends the environment is the large mirrors that fill the space.